Britain's most wanted drugs baron who brought drugs into the country hidden in consignments of fruit has been jailed for more than 17 years. Kevin Hanley, 52, who was considered the 'top, top man' in the drugs world, was also the brains behind plots to deal kilos of cannabis and amphetamines and launder millions of pounds in cash, a court heard. The Old Bailey was told that Hanley, of Fulham, south west London, had been the key lieutenant of 'Mr Big' Brian Brendan Wright, an Irish gangster known as the Milkman because he always delivered. 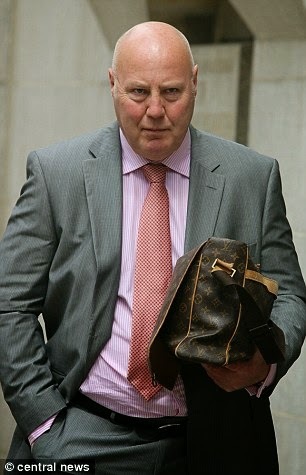 After Wright was brought down by a massive police operation, and sentenced to 30 years in jail in 2007, Hanley set up an international trafficking ring. He used a wholesale food business in London's Covent Garden market as a front for the transportation of Venezuelan cocaine by lorry from southern Europe to Britain, hiding £5million of cocaine inside watermelons and pomegranates. Hanley's new venture was finally broken up in 2012 after a surveillance operation led to the arrest of his gang and the seizure of £2.5m of cocaine and £2m in cash. His safe house in Chelsea was raided by police, but Hanley escaped and went on the run with his Greek television presenter lover, Chrysi Minadaki. But Hanley was caught in a sting eight months later when, in Greece last July he was lured to an Irish pub in Athens to watch the British and Irish Lions in their rugby triumph over Australia on television. Following his extradition back to Britain, Hanley pleaded guilty to the drug smuggling conspiracy and yesterday was sentenced to 17 years and four months in jail. Minadaki, 45, and grocer John Fowler, 58, who acted as his right-hand man, were jailed for 17 years and 16 years respectively. All three were convicted of plotting to supply heroin, amphetamines and cannabis, as well as money laundering. Associates Mathew Edward, 49, and Richard Harrison, 58, who plotted the distribution of cocaine to Scotland, were jailed for six years and ten months and five years and six months respectively. The court heard that Hanley had been jailed for drug smuggling before, but within months of his release licence expiring, he had tracked down a source of cocaine in Venezuela. He then used Fowler's fruit and veg business as a front to bring the drugs into Britain via Greece. Minadaki provided the lorries and the fruit as a cover for the drug smuggling, and the gang was working on plans to hide drugs in loads of strawberries, cauliflowers and broccoli when the police caught them. 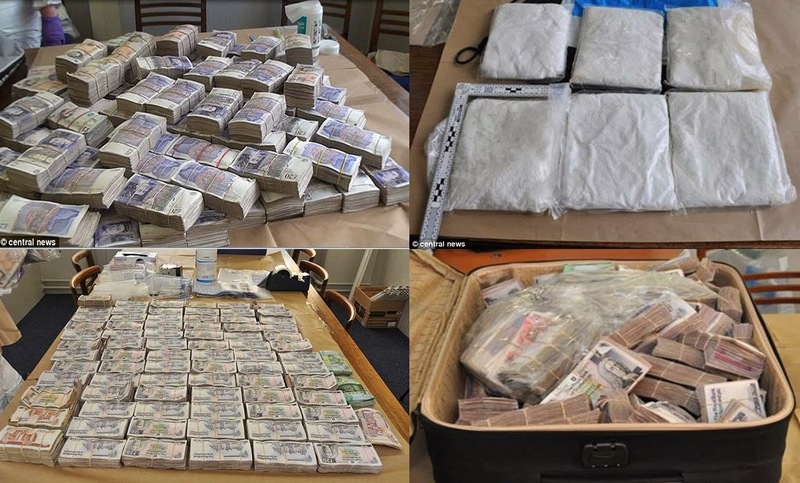 Acting on a tip off after a separate drug ring in Scotland was smashed, officers raided Fowler's flat in Chelsea in November 2012, and found £2.5million of cocaine, £200,000 of amphetamines, £61,000 of skunk cannabis, more than £2million in cash, and two cash counting machines. Judge Wendy Joseph QC told Hanley: 'You were known to be at the top of your illegal trade, and were described as a 'top, top man'. It is you who has drawn everybody together in this web of trafficking. 'The really seriously aggravating feature is you have been before the courts before for drug related matters. She explained: 'Between June and September 2012 large quantities of watermelons were supplied by Greece, followed by pomegranates. This would have been followed by strawberries, cauliflower and broccoli. Judge Joseph told her: 'I am told you have had a glittering career in the Greek media. You described a high flying lifestyle in which you earned millions of Euros and mixed with the great and good of Greek life.